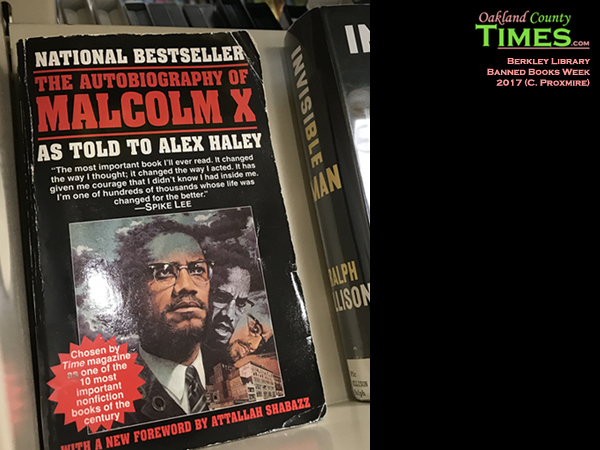 Berkley, MI – Throughout history, people have used the written word to share ideas, express opinions, document facts, and connect people to far off places and new experiences. 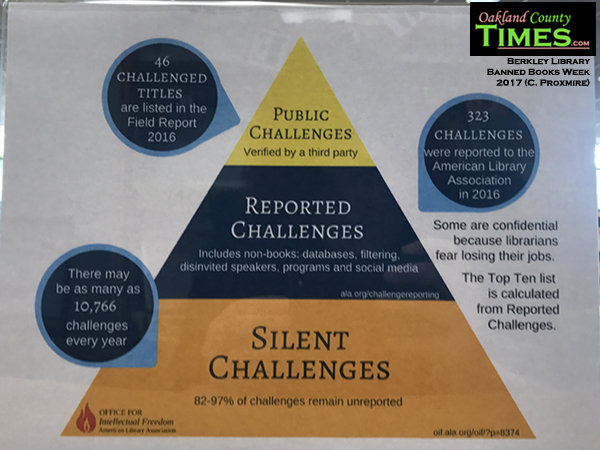 Yet there has also been the pull of those with power to silence those voices. 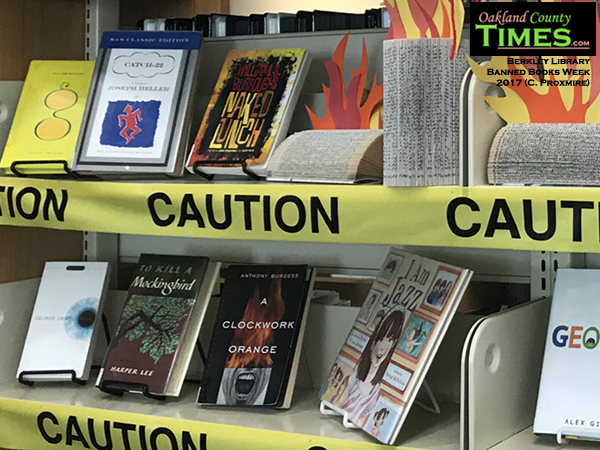 Banned Books Week is celebrated nationwide, with particular fervor in libraries such as the Berkley Public Library. 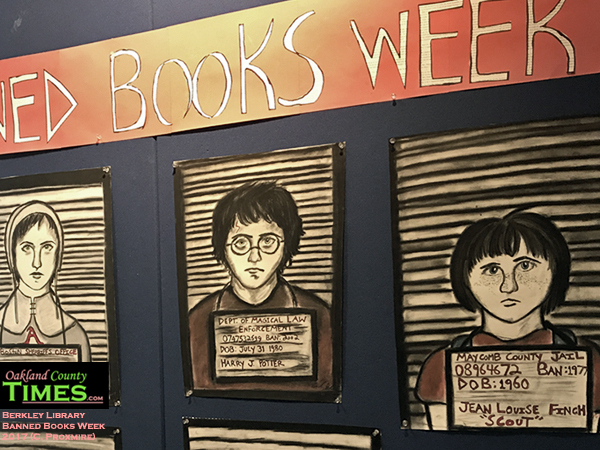 All this week there are banned book displays, recommended reading, and even a place where patrons can have their mugshot taken holding a book that at some point was considered too dangerous to be read. 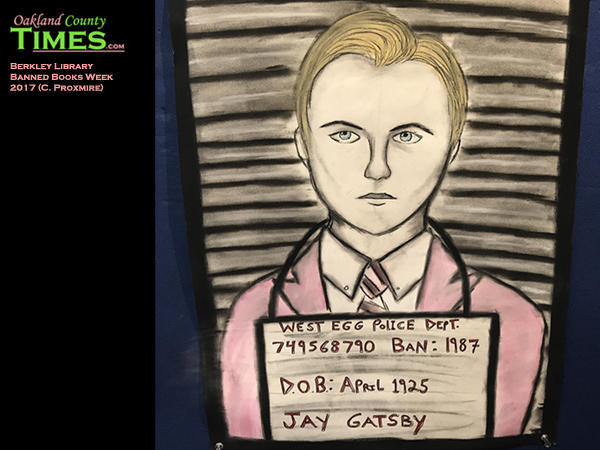 In the teen room of the library, the back wall is plastered with pastel mug shots of famous characters from banned books. 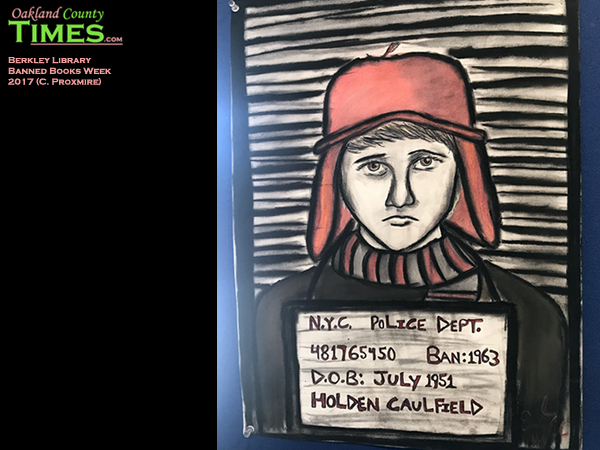 Emily Kirkwood, who works as a clerk at the Berkley Library, had seen other literary mugshots online and became inspired to do a series of her own. 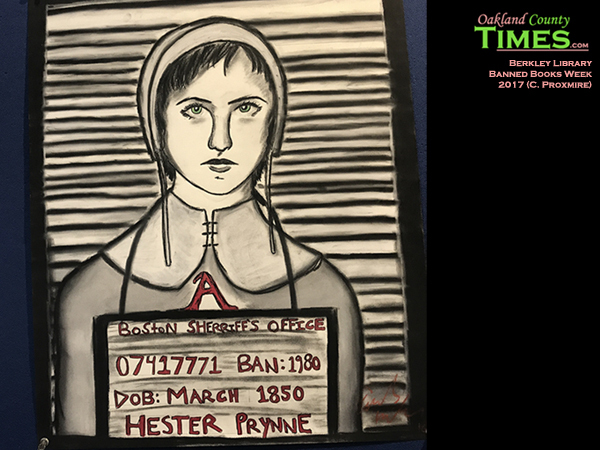 “All of the characters in the display come from some of my all-time favorite books, and having the chance to draw them is my small way of aiding to the fight against censorship,” she said. 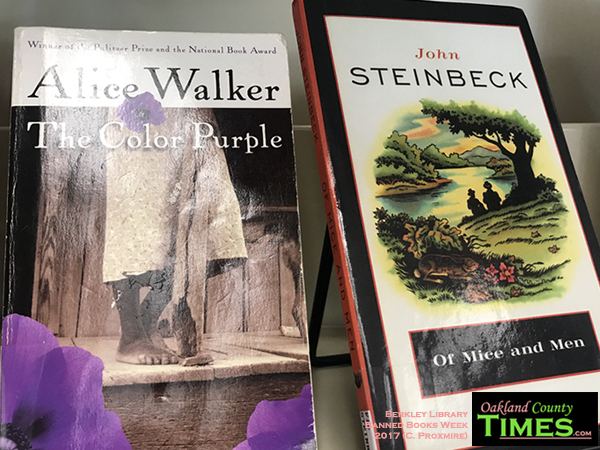 Libraries around the county are celebrating Banned Books Week. 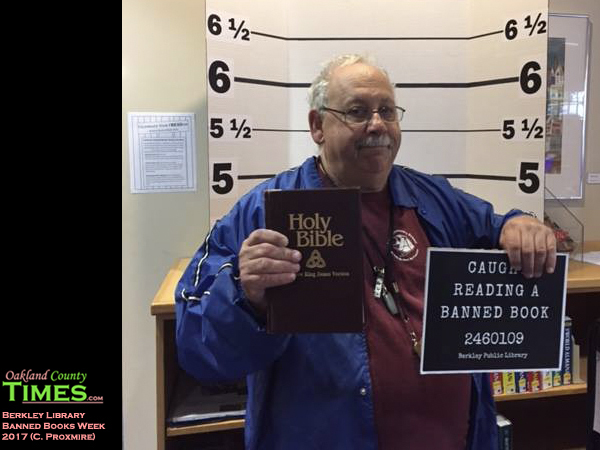 Stop in during normal Library Hours to have your mug shot taken. 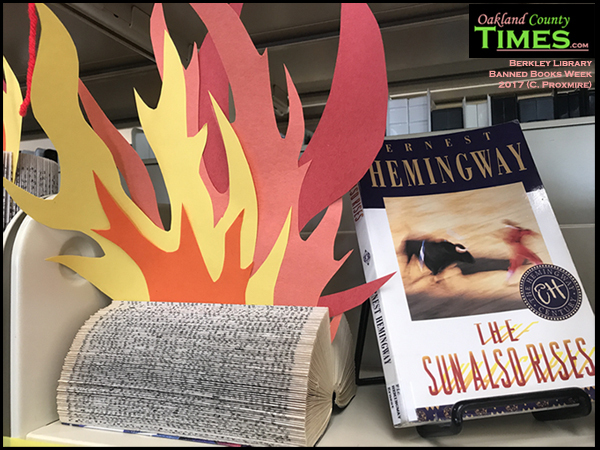 Or check out banned books like The Color Purple, Catch-22, and To Kill a Mockingbird, among others that are part of the fiery display created by Librarian Lauren Arnsman.